EGG HARBOR CITY, New Jersey -- The teenage murder suspect who escaped custody early Wednesday morning in New Jersey has been captured in Atlantic City. 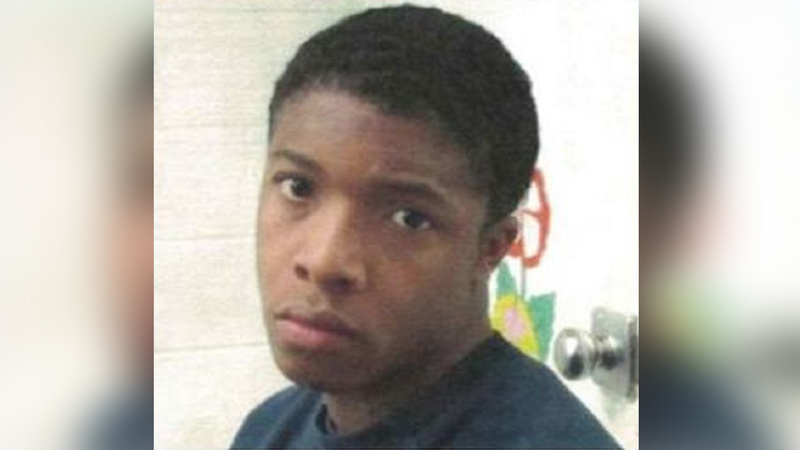 Michael Huggins was one of four teens who escaped from the Harborfields Youth Detention Facility in Egg Harbor City. The Atlantic County Sheriff's Office, the New Jersey State Police Fugitive Task Force, and the U.S. Marshals apprehended Huggins in Atlantic City around 10 a.m.
A news conference will be held this afternoon where more details are expected to be released. The other three escapees were captured in Bridgeton, New Jersey, which is more than 35 miles away from the facility, on Wednesday. Chopper 6 Video: Search for escaped murder suspect in Bridgeton, New Jersey on November 15, 2017. Huggins had been in custody since October 2016 when he was charged with the murder of DeVante Lee in Bridgeton. According to officials, the teenagers overtook the correctional officers and stole the keys to one of their personal vehicles. One of the officers was injured and taken to the hospital. The officer is expected to be OK.
Surveillance video, first seen on 6abc Action News, shows the teenagers leading police on a chase through Egg Harbor City before fleeing on foot. First on 6abc: Surveillance of stolen car in teens escape. Jeannette Reyes reports during Action News at 6:30 a.m. on November 15, 2017. Police gave chase until the four teenagers lost control of the correctional officer's vehicle and crashed into a house on the 900 block of Beuger Street. They then fled the scene. Surveillance video from the neighborhood shows the speeding car heading down the street and hitting a Jeep. The car continues and then crashes into the home. A patrol car can be seen following the speeding car. The video then shows what appears to be the teenagers running off from the scene. Manhunt for escaped teen murder suspect in NJ. Trish Hartman reports during Action News at 5pm on November 15, 2017.